Maigret is definitely a character of the twentieth century: his way of dressing, his culinary tastes, his habits, everything makes of him a being anchored in his time, the time in which his creator gave birth to him. Simenon designed Maigret at the end of the roaring twenties, on the eve of the great crisis that would shake Europe, and the character evolves in the prewar Paris, which is the time when Simenon himself inhabited the city. For a long time the novelist would precisely describe that world, and the Maigret novels are taking place at that time, even if they are mostly not dated. During his American period Simenon evoked the nostalgia of this Paris of the 30s in the Maigret saga, and it was not until the novelist had come back to Europe that Maigret began to gradually evolve in a more contemporary universe. Then Simenon gave to his character his own reactions in front of a world that was beginning to change, the world of the 50s and the 60s, with changing customs, social changes, scientific and technical progress. 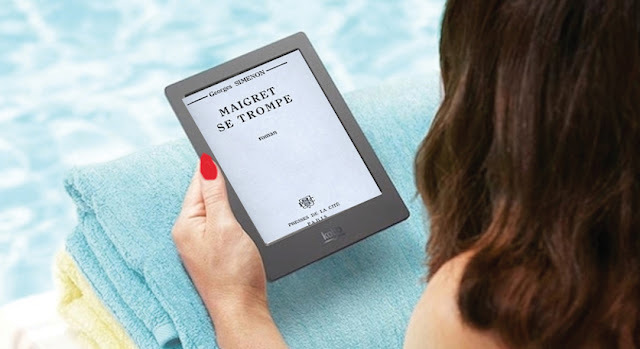 Maigret discovered women in pants, television, his city of Paris invaded by cars and traffic jams, and in the last part of the saga the Chief Inspector appeared more and more nostalgic. Thus Maigret really moves in his time, he is a man of the twentieth century. But on the other way, the character's essential part, his deep being, his way of apprehending human mankind, all of this makes him a timeless hero, who is of all times and of none, and who still speaks to our contemporaries. His questioning on Man's destiny, his extraordinary ability to immerse himself in the weather, his nostalgia of lost childhood, small pleasures he takes in savouring a sunbeam, a glass of fresh white wine or Mme Maigret's smile, all of this speaks to the reader, from whatever era he may be.